A new “intelligent” lithium-ion battery is supposed to prevent explosions and fire accidents by sending constant updates on its own health. 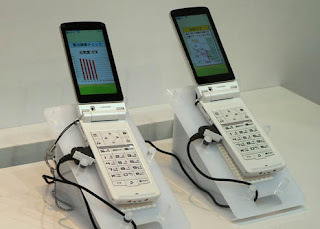 Developed by researchers at NTT DoCoMo, the battery uses a 8-bit microcomputer “brain” to monitor its condition and relay the information to the cellphone user. The pack then notifies you when it's time to recharge, when it needs repairs or even when it's time for a replacement. Information is stored on the battery itself, so that even if you change your phone, you can still view your pack's previously recorded data. NTT DoCoMo says that keeping close track of deterioration in the battery pack is a great way to prevent the Li-ions from catching fire or exploding—a problem that has only increased as the need for more portable power continues to swell. The new brand of intelligent batteries will be found on phone models coming out next year.